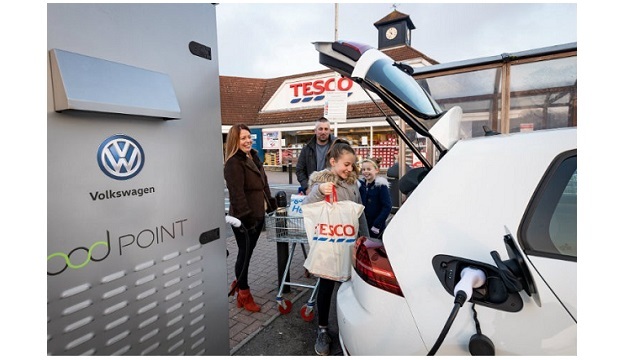 Under the partnership, Tesco and Volkswagen roll out over 2,400 electric vehicle charging bays across 600 Tesco stores in the next three years. Electric cars and other vehicles using alternative fuels account for about 6 percent of sales in Britain and are the fastest growing part of the market, rising 22 percent so far this year, helped by government schemes supporting them. Pod Point said the Tesco/Volkswagen deal would lead to a 14 percent increase in the number of public charge bays in Britain. 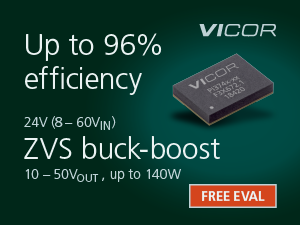 Customers will be able to charge electric cars using a normal 7kW charger for free or a rapid 50 kW charger for a cost in line with the market rate. Tesco said the initiative builds on its commitment to use 100 percent renewable electricity by 2030.